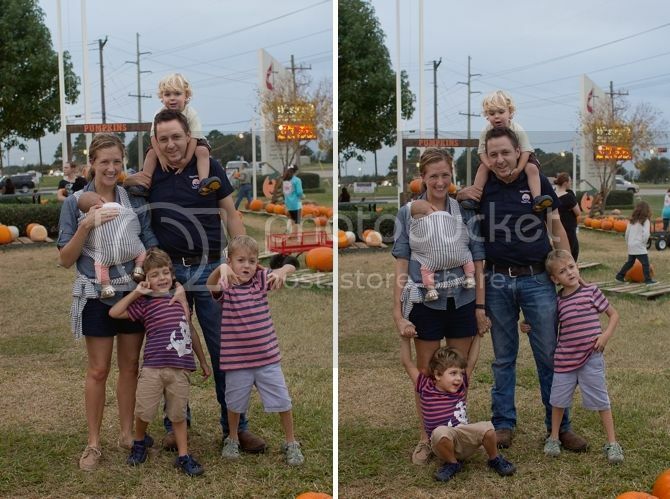 Well, we went to the pumpkin patch on the corner by our house again, and it was silly. It was slightly drizzly--and we waited until October 30th to actually go. We're kind of phoning it in left and right currently. 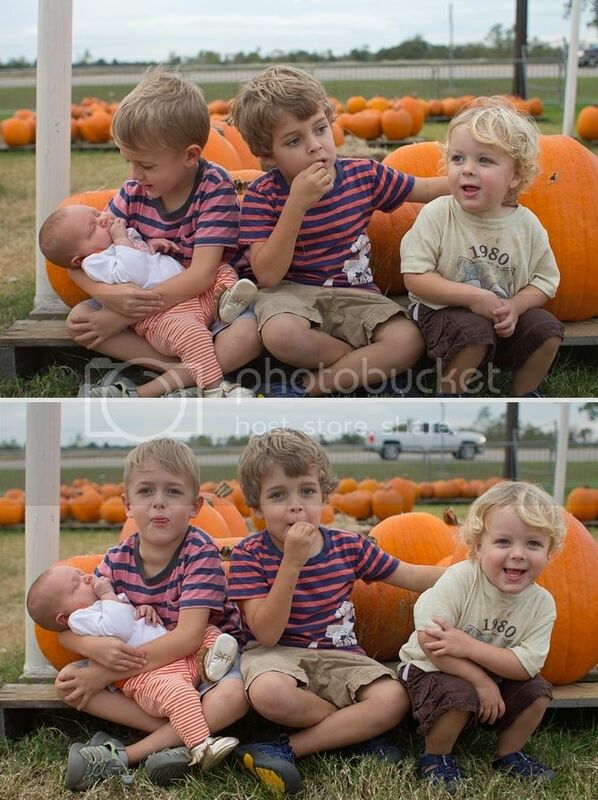 Part of me has given up a bit on getting the boys to behave like I'd want for pictures... I didn't bother getting them in cute clothes--and Keaton's hair is a mess. They all wanted to be silly on the pumpkins, and so I let them. 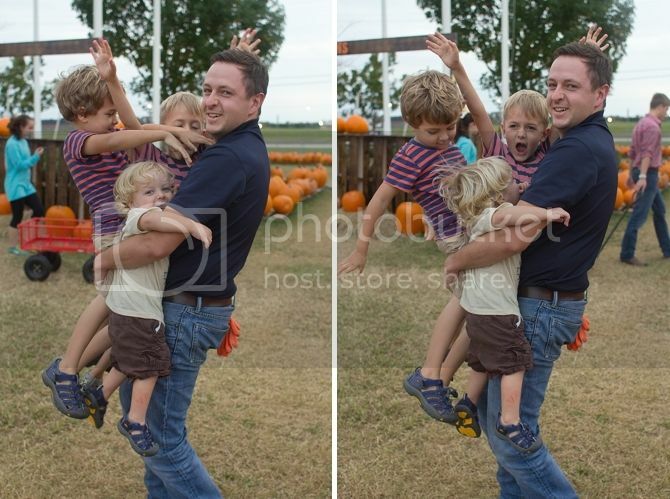 For some reason, the main activity we did at the pumpkin patch was roughhousing. I don't know why. And then I suggested my new favorite photo-op--Sol holding all the boys. 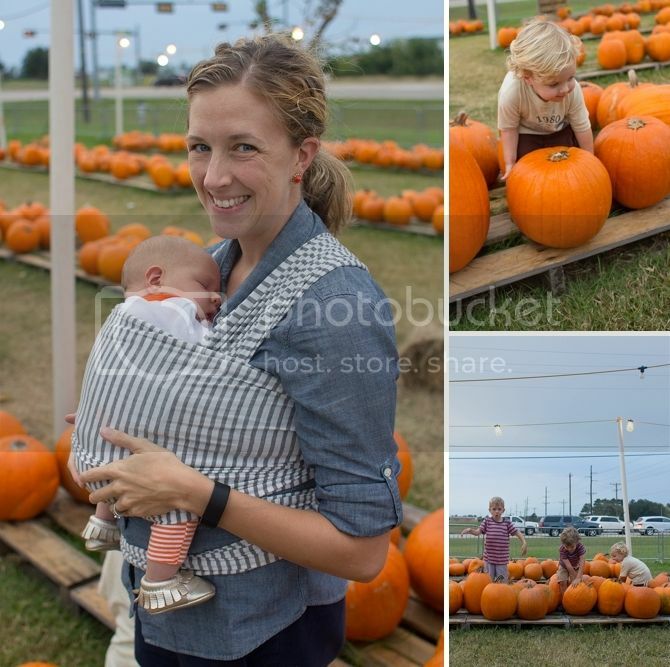 And here's proof that our littlest pumpkin was present. She was. All of my pumpkins! I can't believe I'm so lucky to have all those little people around. We ran into one of my friends in town who is a photographer and I sweet talked her into taking a picture of us--Finley is being a zombie in the first one, which he thinks is hilarious. Oh, to be six. 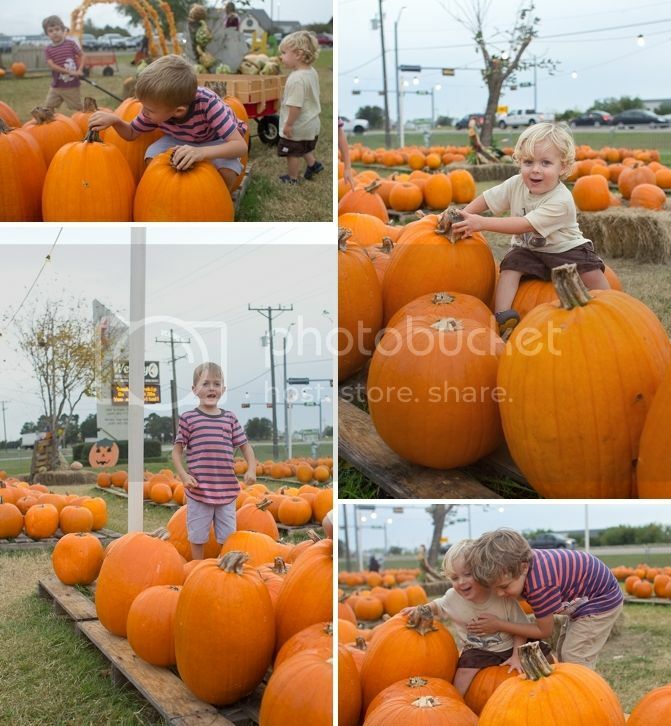 And because it's fun... here are the last six years of pumpkin patch-ing. 2014, 2013, 2012, also 2012, 2011, 2010 and 2009. 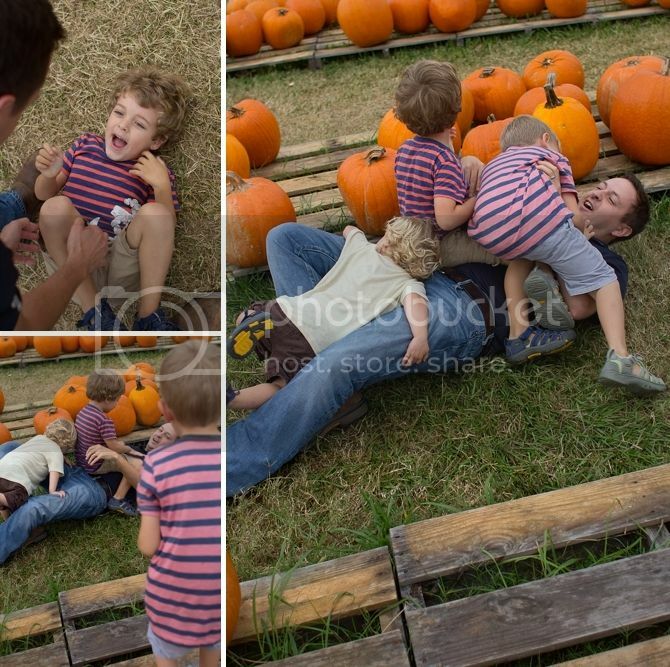 "For some reason, the main activity we did at the pumpkin patch was roughhousing. I don't know why." DUH - YOU HAVE THREE BOYS.